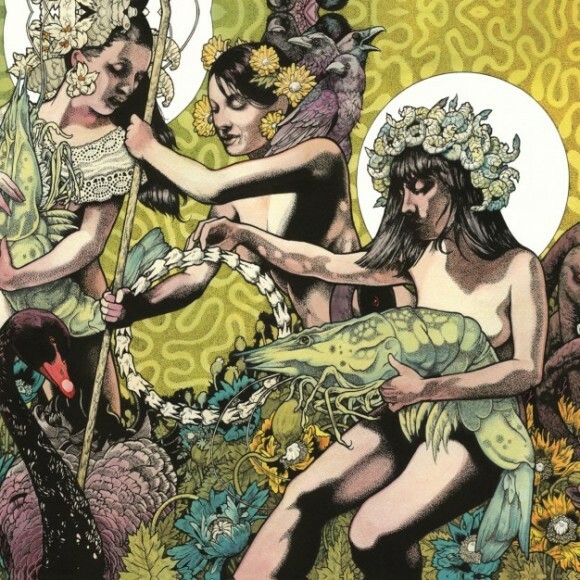 Sludge Metal band Baroness has released the first single from their upcoming album, Yellow & Green. The album is set to drop July 17th, and according to Consequence of Sound, Baroness tried to expand upon their sound and delve into deeper emotions. Check out the single “Take My Bones Away” after the jump. Since forming in 2003, Baroness has released 3 EPs, and Yellow & Green will mark the band’s third full length album. Baroness is currently comprised of John Baizley on the guitar and lead vocals, Peter Adams on the guitar and vocals, Matt Maggioni on the bass, and Allen Blickle on the drums. Yellow & Green is meant to control the band’s harsh metal sound to highlight the heartache over the anger.